Oh so easy and healthy. 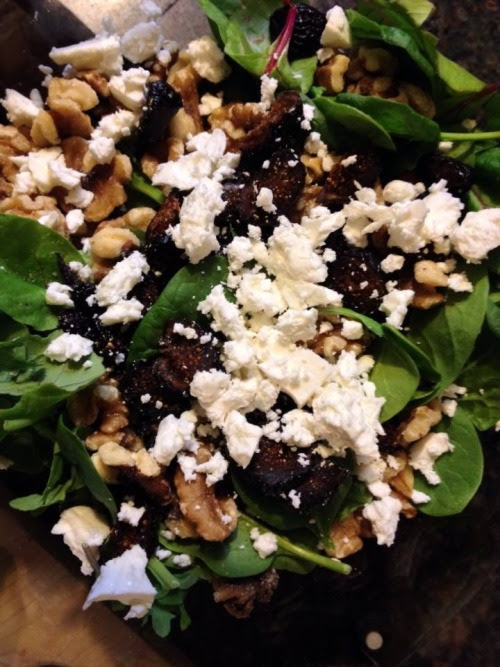 To your fav salad base (we prefer arugula) add imported Greek Feta, diced figs and walnuts. Mix together Greek EVOO and Balsamic (no preservatives, sulfites of colors), add a little Greek Yogurt and crushed garlic for the dressing and Voila an easy and elegant eat. Toss it up tonight! Add grilled salmon for more healthy protein and omegas.